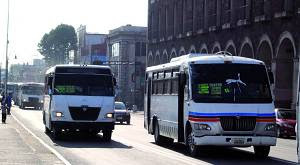 Another important point is that most of the time both buses and taxis are operated by drivers without the necessary training. 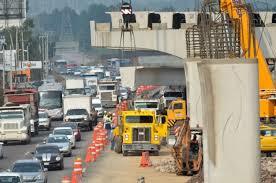 This causes them to drive in a disorganized way producing vehicular congestion such as can be seen in the following image. That image also shows that there is an excessive number of buses to meet the demand for transportation, which is a clear sign that the means of transportation we currently have is highly inefficient. 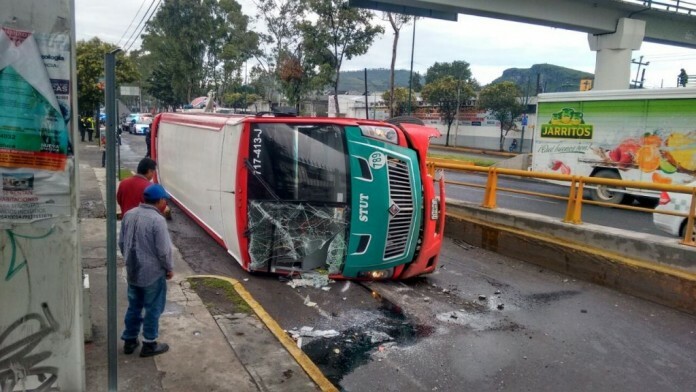 The drivers do not respect the traffic regulations nor the speed limits established by the authorities so that accidents are a matter of everyday. This causes a great many deaths and injuries to the users of the transport and drivers of private vehicles or pedestrians. 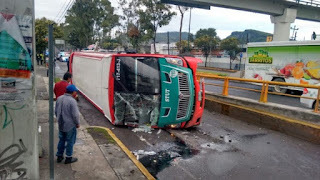 In the last months the government has worked on the construction of a new train that will connect Toluca with Mexico City, however this has caused many traffic problems due to the closure of streets and even some accidents due to bad planning and mismanagement of enormous and heavy structures. 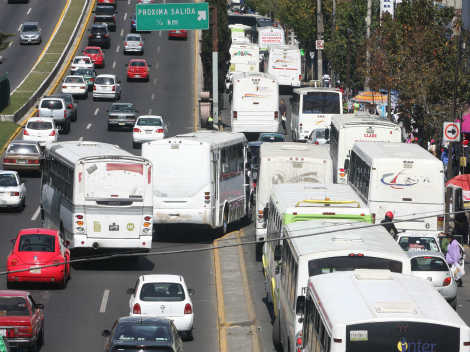 These are just some of the transportation problems that exist in the city of Toluca. Of course also there are problems of insecurity in the transport, the misuse of buses as they offer more seats than you have and especially problems with waiting times and transport times.